I was watching the news tonight and saw a piece on world hunger. Yes, it was in an African country. Yes, there were a ton of malnourished children on the camera. The worst part about it was that I had just gotten finished eating a great meal. It wasn’t that the news anchor was doing an amazing job and saying the right words that got me emotional, it was more that I have done nothing to help in any way. Well, I take that back, I do sponsor a child through Compassion International, but is that enough? I am not really sure what I am going to do to put a dent in this epidemic, but as a Christ follower, I believe that I am called to do SOMETHING! Here in America we are spending billions of dollars on junk. We are so consumed (myself included of course) in having the latest and greatest, but there are kids starving over seas, and even here in the states! 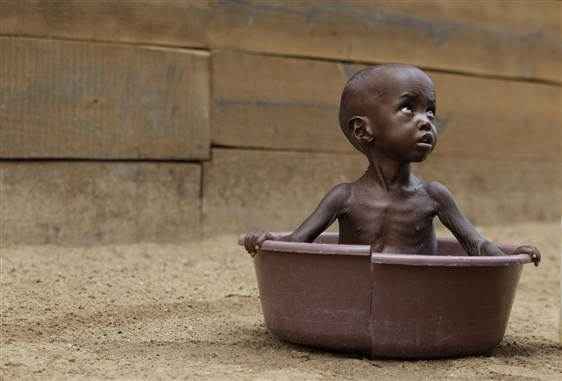 My parents always use to tell me, as I’m sure yours did, that I better eat all the food on my plate cause there are starving kids in Africa. Unfortunately this has become a joke to us. At some level we are being serious, but we mainly are just joking when we say this to each other. All I can do in the post is encourage you to DO SOMETHING! I have posted links below of different LEGITIMATE charities that I recommend in this area. I am sure there are more that are doing something to change this growing problem, but these are the ones that I know of. If you know of a legitimate non-profit organization that does the same things, please comment below! Youre so cool! I dont suppose Ive read something like this before. So nice to seek out someone with some unique ideas on this subject. realy thank you for starting this up. this web site is something that is needed on the internet, somebody with just a little originality. helpful job for bringing something new to the web! I much like the priceless information you deliver into your articles.I will bookmark your website and examine all over again listed here regularly.I’m rather convinced I’ll realize lots of new things correct right here! Beneficial luck for that upcoming!